I had one of these in 1996. 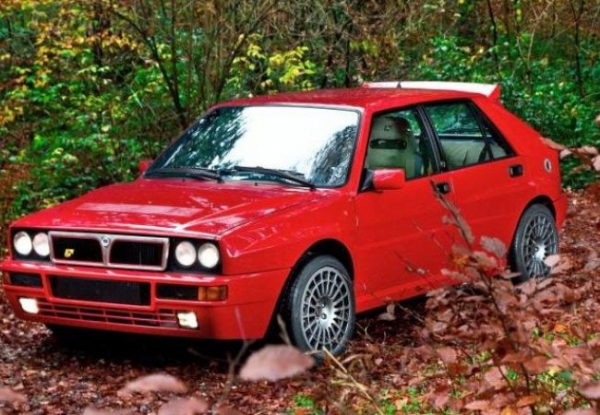 Was this the last good Lancia? A really great car which was fun to drive on b-roads but also very civilised for motorway cruising. Despite the practicality of a 4-door bodyshell, I think it would probably look better as a 2-door - but I suppose it's 'wolf in sheep's clothing' appearance is part of the appeal. Really sharp steering, coupled with good brakes and a strong mid-range surge made the car great dun to drive. Judging by the wear profile on the front tyres, Lancia used a lot of negative camber which gave great grip and fast turn-in. One of the few cars that I have owned which I sold for a profit!